Editor’s Note: This was written by partner organization i-ACT and originally appeared on their blog. The Enough Project and i-ACT worked closely on the Darfur Dream Team Sister Schools Program from 2009-2014. This fund and awareness raising effort is an extension of our original goal of supporting Darfuri refugee education in eastern Chad. Today is World Teachers’ Day. The day we honor those who encouraged us to be better individuals, community members, and global citizens by showing us how to explore the world around us. How to ask questions and problem solve. How to take risks when needed and be safe when it was dangerous. Teachers do not just teach rote learning, they are caring, innovative people who know that by connecting with and teaching our youngest members of society, we can create change, often towards a more peaceful future. 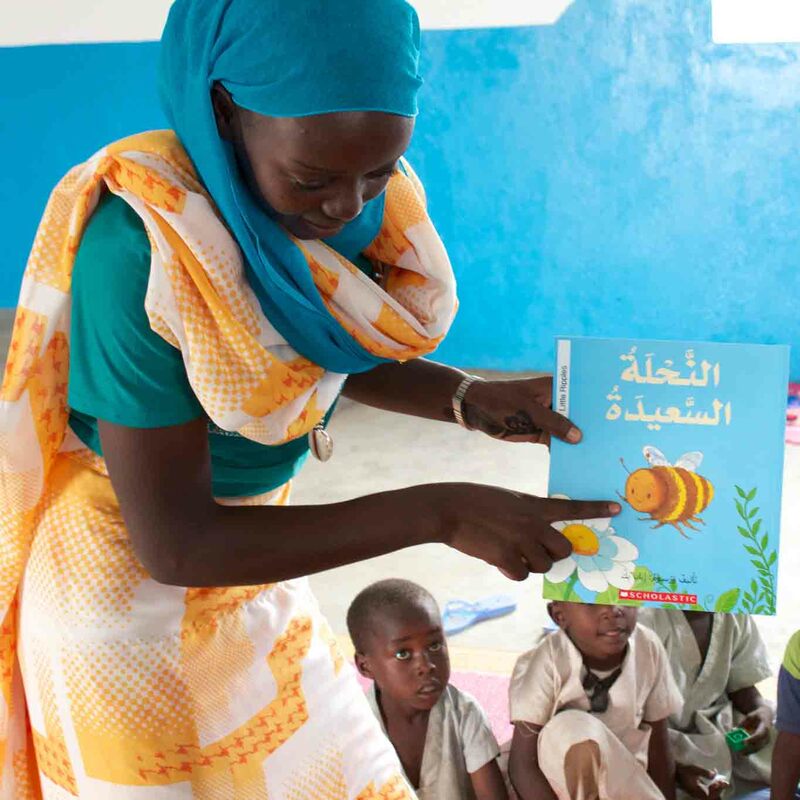 The first Little Ripples preschool is located in Goz Amer refugee camp in eastern Chad and our teachers are just those type of educators. These women, refugees themselves, are at the school each day to teach a curriculum grounded in the pillars of peace, helping, and sharing. Through play and positive student engagement, they are forging a new path for their community — one with the opportunity to recover from trauma and towards a stronger Darfur. Little Ripples teachers all graduated from or are attending the small secondary school in Goz Amer camp. In addition to teaching young Darfuri refugees, they want to learn and grow themselves. Many of them have already started families of their own. They all laugh and giggle just as much as the children do when they get the opportunity to play. All of our teachers have worked with i-ACT's team of volunteer Expert Teacher Advisors to co-create the Little Ripples curriculum. Teachers often express that feeling connected to people like you, in communities across the United States, is vital and something that gives them hope. Do you want to send a message to a Little Ripples teacher? You can do so by emailing info@iactivism.org or mailing your note to iACT at 1732 Aviation Blvd, #138 Redondo Beach, CA 90278. They will be delivered on i-ACT's next trip to camp Goz Amer in late October.